Viloma Pranayama is a breathing work out that is carried out by breaking off the continuous flow of breath by several pauses. Viloma means “against the natural flow”. In Viloma Pranayama, the inhalations and exhalations are suspended with short pauses. The time taken to complete a Viloma inhalation or exhalation will be longer than that of the normal or ujjai inhalation or exhalation. For example, if one complete inhalation takes fifteen seconds, in Viloma it would be interrupted every two, or three seconds, thus bringing the length of the in-breath to twenty-five, or thirty seconds, likewise out-breath is also lengthened from twenty-five to thirty seconds. Practice Viloma Pranayama by separating the inhalation into gaps or pauses, while maintaining a smooth exhalation. Take a small swallow of breath, pause holding the breath for a second, take another sip of air, again pause for a second, holding the breath. Continue this till last inhalation ensuring that the lungs are full with air. Now exhale smoothly without pauses. Practice this 12-15 times. 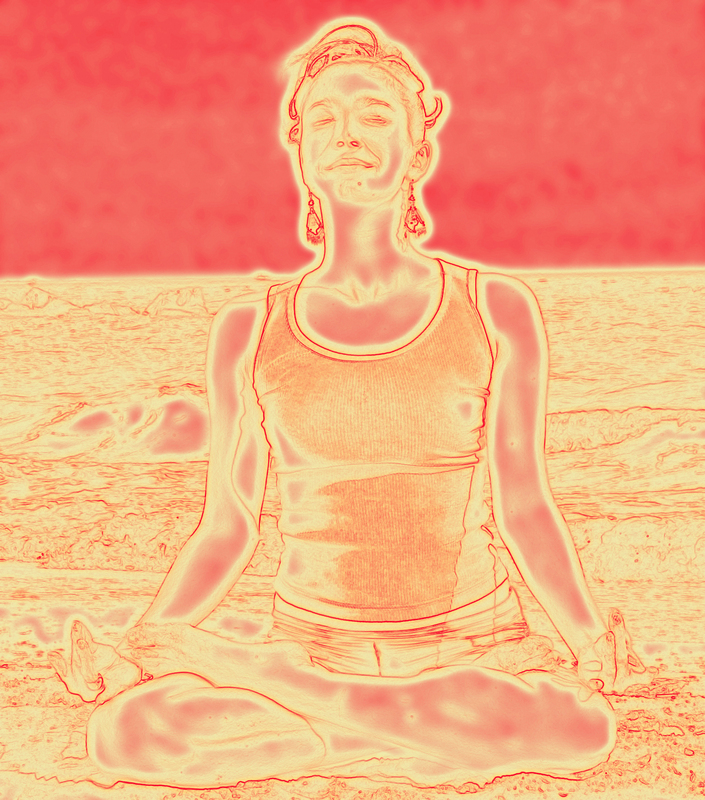 In this practice, inhale the breath in smooth and steady manner without any gap or pause, however, exhale intermittently with pauses as in step – 1. Ensure that the pauses in step 1 and Step 2 are equal. Practice this 12 – 15 times. Combine step 1 and step 2, Inhale and exhale breath with gaps or pauses. Develop patience and a sense of happiness. It is helpful in low blood pressure. It calms down the brain.